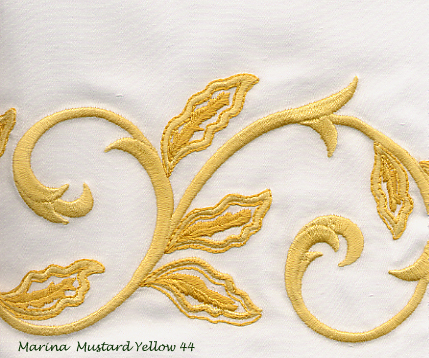 MARINA custom embroideryed bedding by Dea of Italy - select from the following embroidery colors: white, ivory, green, salmon, khaki, sea blue, and mustard yellow. 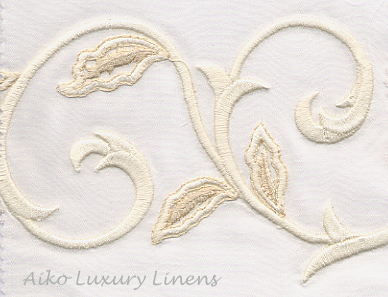 Please return to MARINA bed linens on 360 tc percale to make your purchase. 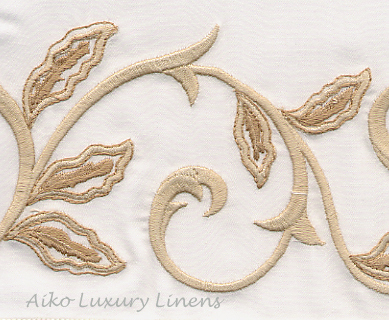 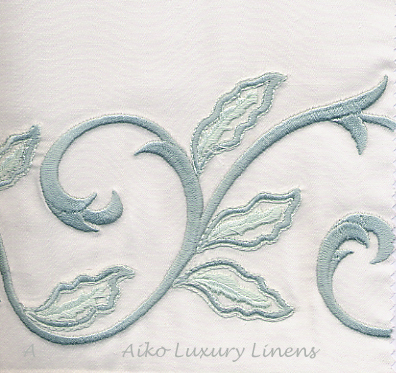 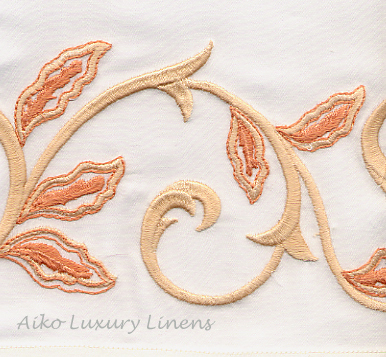 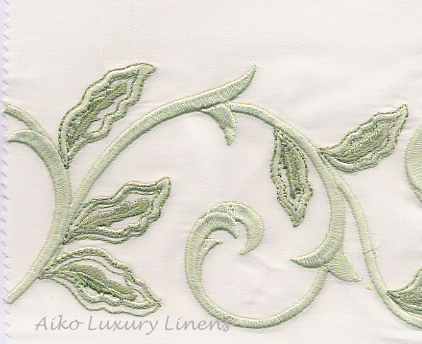 If you prefer MARINA embroidery on sateen fabric, please contact Aiko Luxury Linens to place your order by phone.